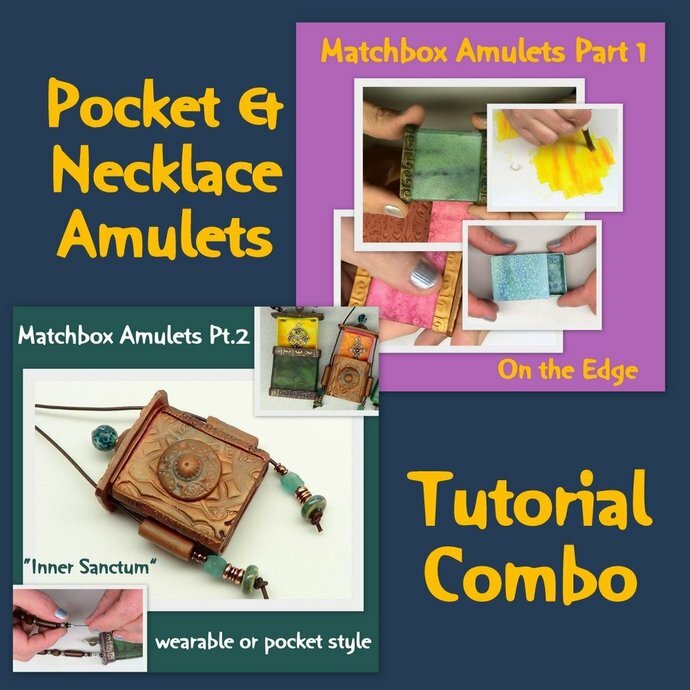 This Combo tutorial offers you 2 tutorials to create Amulets from start to finish. Wearable or Pocket style. Put it into your pocket or your purse. Part 1 consists of 15 pages, 41 steps and 44 photographs. Part 2 is packed with 71 photographs, 21 pages and 67 easy to follow steps. 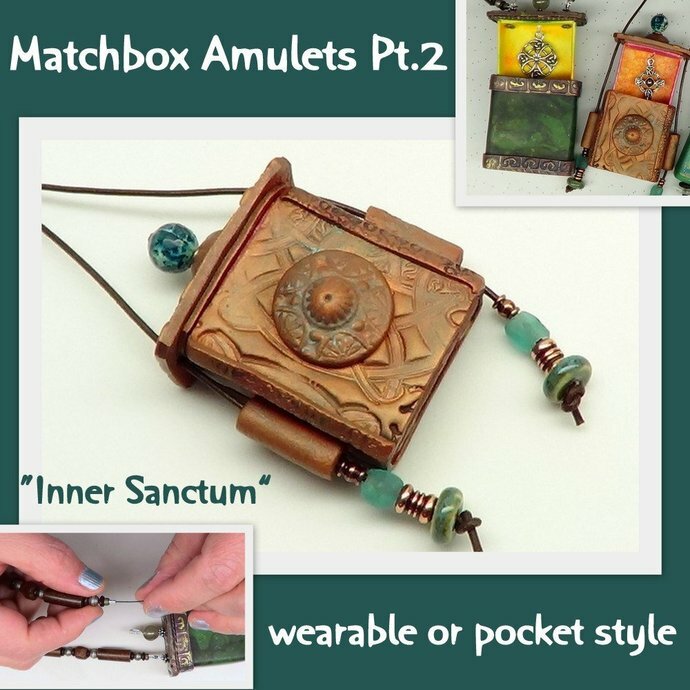 These boxes aren't the usual store-bought match boxes, so I'm excited to share with you this series of Matchbox Amulets. First you print out a template (unless you choose to purchase my prefab boxes), then cut, paint, fold and glue together a fitted box for a base of the amulet. 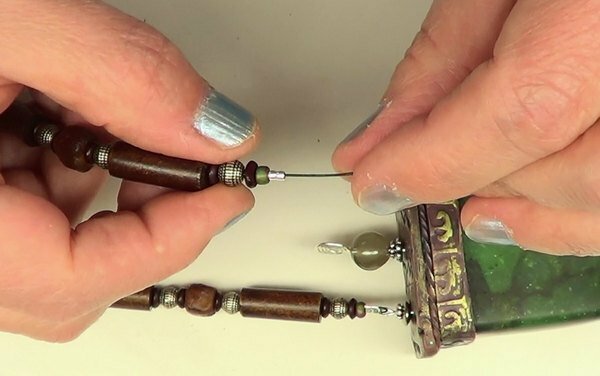 Then in the intro, embellish the top and bottom rim or edges, as well as lid and bottom of box with textured polymer clay. These boxes can be made larger, smaller, taller, and wider, by changing the template. You can enlarge or shrink the template before printing it out. 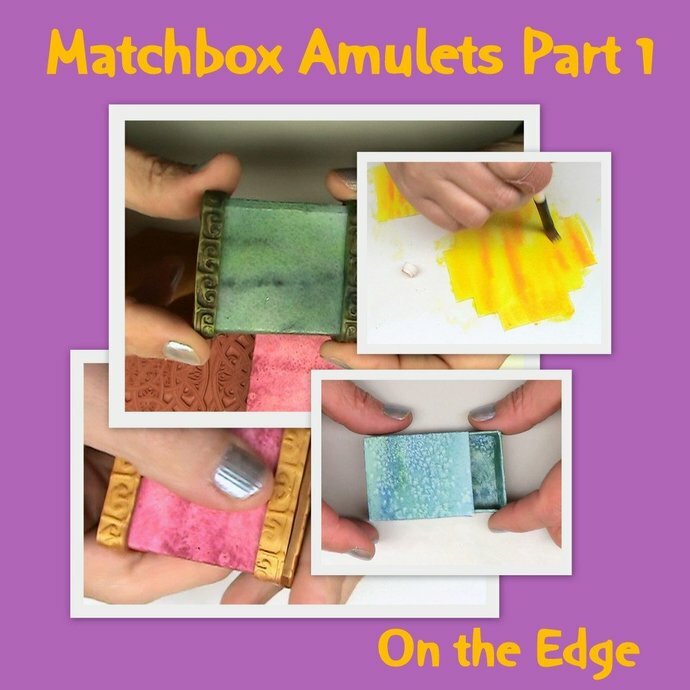 The box can be painted to compliment the color or whatever embellishment you want to give them, be it for and with polymer clay, beads, or paper arts. I have prefab tear resistant paper box kits available in my shop. 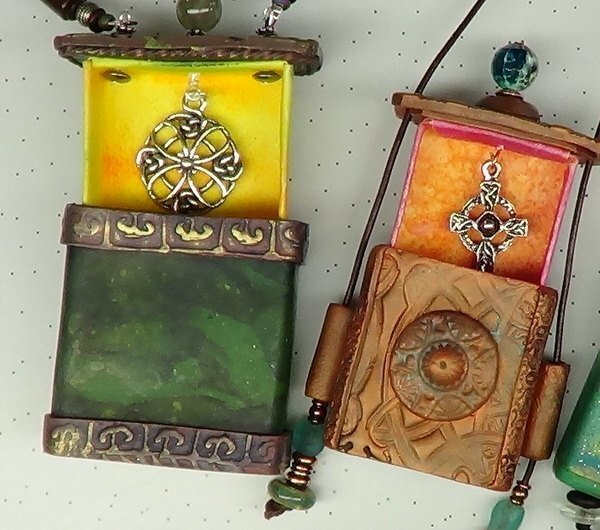 Part 2 "Inner Sanctum Amulets" will go more in depth in finishing and personalizing these boxes, covering with polymer clay, antiquing, various of stringing and beading options, decorative elements for the top and bottom, as well as the inner part of the box. Recommended for Intermediate. Must have some polymer clay experience.